Giclées can be ordered in any size up to 40" x 60" at $1.00 per square inch. 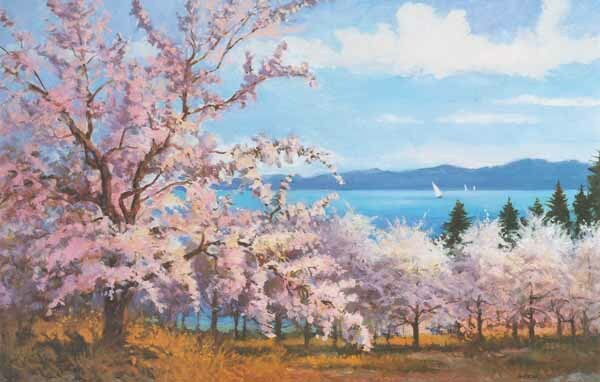 "Cherry Blossoms" measures 30" wide by 20" high for a total of 600 square inches. A giclee of this same size at $1.00 per square inch would be $600.00. and click the "Calculate Price" button. We will determine the square inches of the giclee and quote you a price.